Enhance the charm of architecture and landscapes with natural appeal, the Lexington Collection round planters are a popular choice. 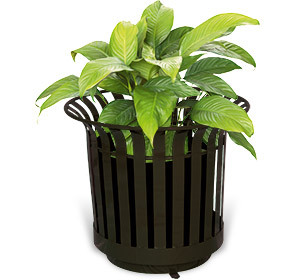 These 24" diameter by 18" tall premium all-steel planters are designed to prominently display beautiful foliage with smooth vertical slats that taper out slightly on top. Ready for all-season use, engineered to maintain a fresh look throughout. 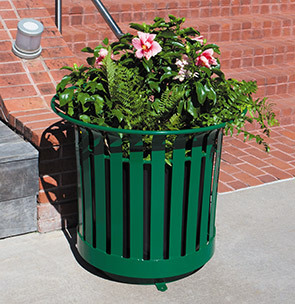 The Lexington Collection planters are finished in a UV-stabilized, ultra-resilient powder-coating—available in the color options as shown, liner is sold separately.